Studied acting with Herbert Berghof and William Hickey. Teaching: HB Studio since 1966, Technique & Scene Study; Tisch School of Film & Television at NYU, Directing the Actor and The Actor’s Craft; The Singers Forum, Musical Theatre. Broadway: NATHAN WEINSTEIN, MYSTIC, CONNECTICUT, for which he also served as Associate Director. Pre-Broadway tour with E.G. Marshall in THIS WINTER’S HOBBY. Regional: Harry Roat in WAIT UNTIL DARK (Alhambra Dinner Theatre) and Jerry in LOVERS AND OTHER STRANGERS (Windmill and Coachlight Dinner Theatres). Off-Broadway: Archie in William Inge’s THE DISPOSAL on Theatre Row; The Husband in James Purdy’s DON’T CALL ME BY MY RIGHT NAME; The Doctor in Max Frisch’s ANDORRA; Czernieskiewicz in A SEXUAL INCIDENT by H.N. Levitt. Originated the role of The Man in William Packard’s THE LIGHT OF LIFE (Tribeca Lab). Created the role of Sigmund Freud in William Packard’s THE PSYCHOPATHOLOGY OF EVERYDAY LIFE (J.E.T. Theatre). Served as director for both Packard plays. HB Playwrights Foundation: The Man in THE MOTHER COMPANY. Film: Michael Blomberg in Sidney Lumet’s PRINCE OF THE CITY. TV: Sam Dobson in ALL MY CHILDREN and Sam Masters in AS THE WORLD TURNS. 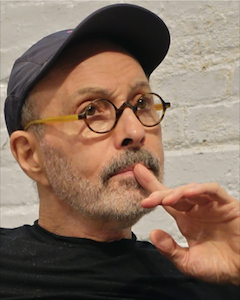 Directing: Premiere production of Israel Horovitz’s FREE GIFT (Crane Theatre); Neil Simon’s LAST OF THE RED HOT LOVERS (Center Stage Theatre); Alan Bennett’s TALKING HEADS (Flatiron Playhouse); George Hammer’s TWILIGHT IN BERLIN (Center Stage Theatre); Jean Cocteau’s THE HUMAN VOICE (Atlantic Fringe Festival). Experimental Workshop: Terence McNally’s NEXT; Arthur Miller’s A VIEW FROM THE BRIDGE; William Gibson’s TWO FOR THE SEESAW; Henry Slesar’s THE VEIL. HB Studio’s First Floor Performance Series: Frederick Stroppel’s SINGLE & PROUD and Christopher Durang’s WANDA’S VISIT; RUTH DRAPER MEETS DOROTHY PARKER. Recently directed TRAPPED—2 original one-character plays at Theater for the New City. Author: ACTING: WALKING THE TIGHTROPE OF AN ILLUSION—ZEN LESSONS FOR ACTORS IN LIFE AND ON STAGE, based on transcripts from his invitational class, Experimental Workshop; and, MEDITATION: TO BLOW THE MIND. Both are available as ebooks.